I’ve talked about some of the worst marijuana defenses, so now I wanted to explain the strongest ones you might have. These are the top three winning defenses. One of the best defenses for possession of marijuana is that you simply were not in possession of marijuana. That sounds simple but, unfortunately, it’s a pretty complicated concept. One of the most common things I hear when I’m talking with people about possession of marijuana is that the marijuana wasn’t theirs. Unfortunately, that’s not what possession means. It doesn’t mean that it was legally your marijuana. Possession under Virginia law for marijuana means that you had reason to know what the substance was and that you had some dominion and control over the substance. You can know that your buddy has marijuana, but if he has complete control over it, we have a strong argument to win. However, the facts aren’t usually that simple. An example of this argument is when you’re sitting in a car with friends and the officer sees your two friends passing a joint. But let’s say you’re sitting in the backseat. The car is certainly full of marijuana odor, but the officer didn’t see you touch the joint. And you’re just a passenger in someone else’s car. Under those facts, if you keep your mouth shut and don’t admit to smoking marijuana, we have a good argument that you simply were not in possession of the marijuana. Being in the same place a contraband does not make you guilty for having the contraband. If that’s the kind of case you’re facing, we have a good argument that you simply were not in possession of the drug. However, what happens in many cases is that everyone admits to smoking. If you admit that you smoked marijuana, that could be enough for the judge to find you guilty of possession of marijuana. Even if someone else provided the marijuana, if you touched it, the judge may rule that you had dominion and control over it. If you’re charged with possession of marijuana, it seems straightforward but the Commonwealth does have to prove that the substance they claim you had was in fact marijuana. In many cases this is a straightforward situation. Many clients will admit that it was marijuana when the officer asks them about the substance they find. But if you didn’t admit to the marijuana there may be a defense. The next way they prove that it was marijuana is by using field tests. In most cases what happens when the officer finds what he suspects to be marijuana is that he performs a field analysis on the substance using a little kit. Basically, if the kit turns the right color that indicates the presence of THC which is the drug in marijuana. However, in order to use that field test in court the officer has to give you a form that notifies you about the field test and tells you that you have the right to have a full chemical analysis done at the state lab in Richmond. If the officer neglects to give you that form or the Commonwealth can’t prove that he gave it to you, then we could try to exclude the field test from evidence. While it seems like a straightforward piece to prove, it may not be depending on the facts of the case. If the Commonwealth cannot use the field test and all they have is your statement that it was marijuana I would argue that that should lead to a dismissal in court because we don’t know for sure what this substance is. In some cases the client’s not sure what they have, or maybe it was something that someone else left in the vehicle. In those situations, we may want to have the state lab analyze the substance. The state will analyze the material to determine if there is THC present or not. They’ll issue a certificate to say whether or not the substance was marijuana. If it is marijuana, it really doesn’t hurt us because that’s what they’re already claiming to have found. But if the chemical analysis says it’s NOT marijuana, we’re looking at a victory! In some cases, the driver of the vehicle or the possessor of marijuana readily gives it over to the officer. Officers are very skilled about getting people to hand over contraband. However, in some cases they do have to perform a search in order to find a substance. 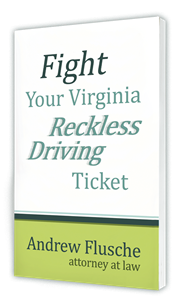 The law of search and seizure in Virginia is quite complicated, and it’s impossible to go over everything in one little article. But the most important thing to realize right off hand is that the officer normally needs probable cause in order to search your vehicle. However, if you allow them to search, they don’t need probable cause. Consent trumps everything. If you say, “yes officer; feel free to search,” then it doesn’t matter if they have probable cause or not. They can search all they want. That’s why it’s critical to refuse any searches. You always want to say politely, “no officer; you may not search,” and if they have probable cause they would still search. But if you refuse to consent then they have to have probable cause to search your vehicle. The cool thing about the law is that if they perform an illegal search, the remedy for that is that they cannot use anything that they find against you in court. If you refuse to consent to search and if they don’t actually have probable cause for any type of contraband in the vehicle, then we have a strong argument that the search was illegal. That could keep the marijuana out of evidence and help us secure a win! Give me a call to set up a free, over the phone consultation. I’ll see what defense options you have! Is the Odor of Marijuana Enough for a Virginia Conviction? [VIDEO] Will Virginia Possession of Marijuana Suspend Your License?